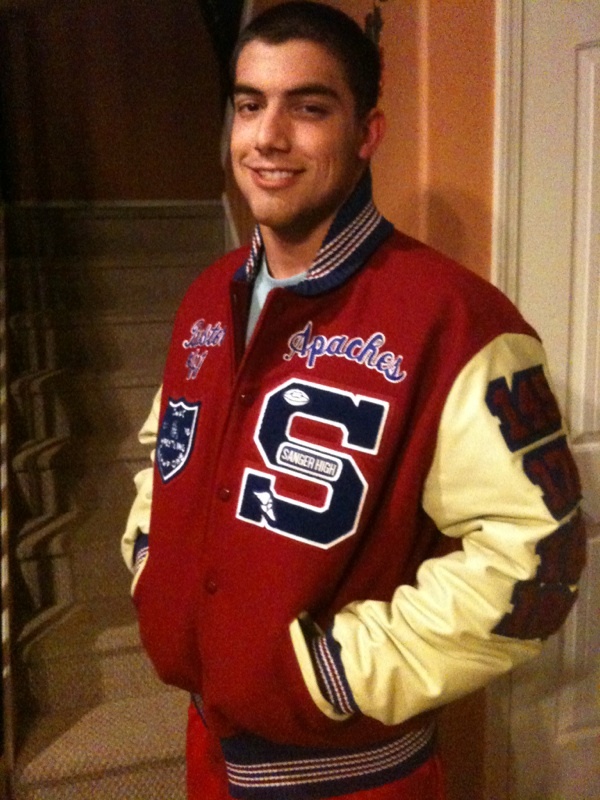 We are the 1st CHOICE in providing custom letterman's jackets to the entire Central Valley. Forget the Rest! Buy the Best! Our jackets are made of the highest quality materials, made with virgin wool, not reprocessed wool and genuine leather sleeves. Give us a call at (559) 681-1987 to make an appoinment or if you have any questions.